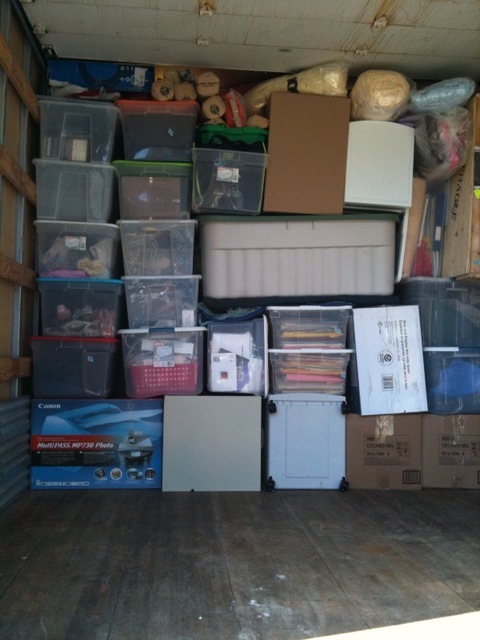 I have used Benini Movers several times in the past, and they did an outstanding job each time. I sold my house, the closing on my condo got delayed so everything was put into storage, then 6 months later, I had them move me into my condo. Each time, they showed up on time (Early, actually) and wrapped my furniture items, and were very careful with moving everything. They did an incredible jot at the storage locker, organizing things so they packed the full height of the 10x15 locker without an inch to spare, saving me the cost of renting another locker. 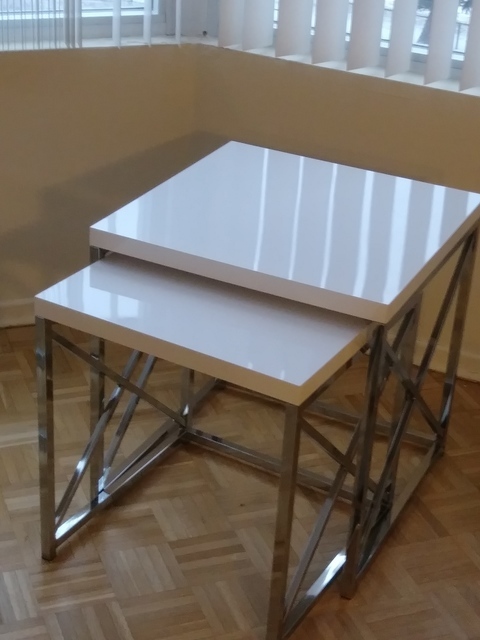 The move to my final condo went very smoothly, again my personal items & furniture were handled with the utmost care. All of the crew members were very polite and respectful. No hesitation whatsoever in recommending them. They are honest and very hard working. Angelo and the team showed up on Monday morning at the specified time and neatly packed our whole place. The next day they came back even ahead of time, loaded everything on the truck and brought it to our new place. All our furniture was nicely wrapped into moving blankets and when we unpacked there was not a single mark to be found. We also have a lot of pictures and sculptures and all of them were moved with utmost care. No move is a pleasant experience, but this one was the least stressful. Thank you for the feedback.We always suggest our customers to have a "prep" job prior the moving. Wrapping the furniture and packing carefully beforehand ensure less stress on the moving day. It really is a pleasure to work with you. If I could recall it has been at least 10 times moving one or another member of the family.We completely understand the stress and often the issues related to one's relocation. Keeping professional and friendly attitude every time is our goal. I would highly recommend Angelo and his team. They arrived on time and didn't stop working until the job was done. They were very careful with the furniture and made sure everything was wrapped up and protected. Can't say enough about them, our move was flawless, thanks to Angelo and his team ! Thank you very much. I hope you are doing well. The lake view from your balcony is amazing!!! Angelo and his team showed up at our condo downtown (in a snowstorm) on time and ready to go. They were professional, kind and hard working. They were fast and very easy to deal with. Angelo was very communicative from the moment I contacted him. The weather was horrible but these guys pushed through it all and got the move done quicker than I thought it would be done and it was done without any hassles or issues. Nothing broken or damaged, everything done perfectly. I can’t say enough good things about Angelo and this company, I’m really thrilled and would use them again for sure. Highly recomnend and definitely happy with this company. Thank you very much for the warm review. My best wishes to you and Kazumi! I'm extremely satisfied with Benini Moving Service. Mr.Benini was punctual, professional, was very careful with my furniture, everything was as per agreed quote and time. Mr. Benini also kindly offered to transport some boxes that were not part of the agreed estimate. 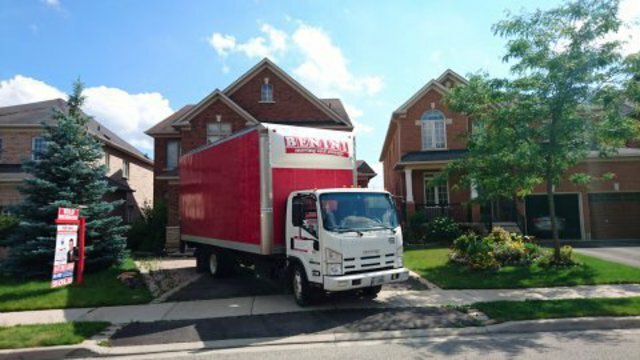 I confidently will recommend Benini Moving Service to my friends and family. 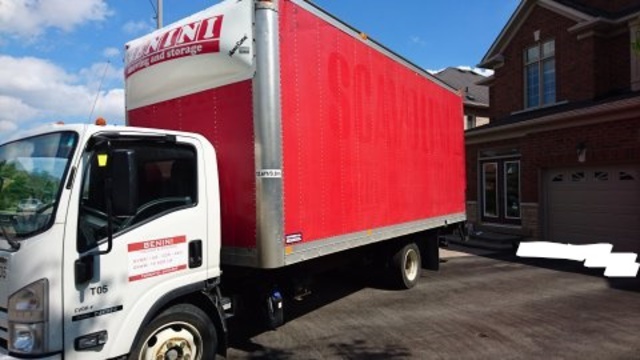 We have had bad experiences with moving companies in the past, so we were so happy to find Benini. He was responsive, helpful, personable and completely trustworthy. He brought his workers in the day before the move to wrap all the furniture so the following day's work would be as efficient as possible. Everyone was lovely to have in our home. The loading was methodical and efficient. And the off loading was exceptional despite very challenging conditions around our new-build house. Mr Benini was a terrific leader of his team and managed to move our piano through a narrow and high doorway with maybe an inch to spare, safely and successfully. And the final talley of hous and costs was spot on his quote. Amazing. No damage. No drama. Just great service. I should admit: getting all your stuff into the new house was challenging. We usually have simple moves, in some cases complicated. Your case was very complicated! Moving piano is never easy. It requires skills and experience. Your new house looks great - modern and energy efficient. A bit premium but you get what you pay for. A consultation meeting, and prep day assured the actual move went off without a hitch. Angelo and his team take the utmost care of your prize possessions and consult you every step of the way. Highly recommend. I really did like the words you have chosen to describe our company - "safe and reliable"! That precisely is what we offer to our customers - reliability and trust. Is very prompt, accurate and cost effective to deal with. He was the first to respond to my request for pricing, and he was the most cost effective. He accurately estimated the time for the job. His team showed up on time. And His team did a great job. Providing refugees with basic furniture and help them settle in Canada is a very noble cause. We, at Benini, are glad we could add our help and support. Please, do not hesitate to contact us next time, should you require moving service again. I've used Benini for multiple moves now as have many members of my family. Angelo and his team always take great care of me and my stuff and I wouldn't use anyone else! Thank you very much. It always is a pleasure to work with you and the family members. 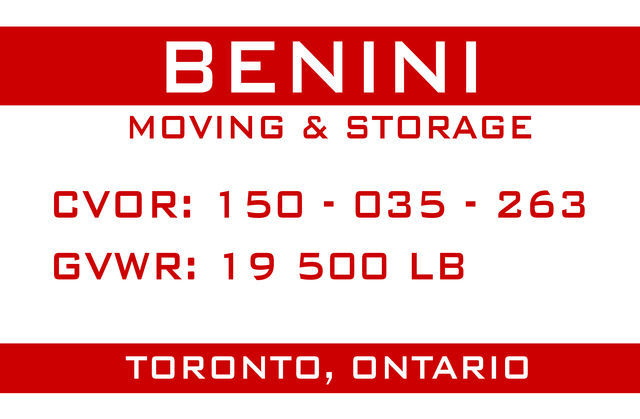 Benini Moving and Storage is a Toronto-based relocation and storage company. Our mission is to provide our clients with the highest quality of service, founded upon the principles of efficiency and reliability. We offer a wide variety of MOVING SERVICES, carefully customized to meet the needs and budget of each client. To start off, get a FREE ESTIMATE for your move. One of our professional moving managers will contact you with your quote, and answer all your questions. We will even provide you with FREE DELIVERY of all the packing supplies you need. With Benini, you can relax knowing that your valuables will be handled with the utmost care. WHAT WE DO 1/ We sign a contract before the job starts with the starting time indicated and the conditions were already discussed with the customer. 2/ We completely wrap the furniture with thick moving blankets to avoid any damages or scratches. 3/ We carefully pack the dishes, glasses and other fragile items with white packing paper. 4/ We take care of pictures and paintings. 5/ We load the truck in a proper way to avoid the furniture shifting and damaging during transportation. 6/We try finding creative solutions to the issues which may occur during the job. 7/ We hoist sofas and other heavy pieces through a balcony if there is no other ways to bring them in. 8/ We conduct our service in a very friendly manner. 9/We work very hard until the job is completed. WHAT WE DO NOT DO: 1/ We are never late. In fact, we always try to arrive early. 2/ We do not have “stair” charges. 3/ We do not have ANY hidden charges. 4/ We do not prolong the job deliberately in order to make extra money. 5/ We do not keep our customers’ belongings locked in the truck as a “hostage” while negotiating to get extra payment. 6/ We do not insist to get paid in full before the job is completed. 7/ We do not insist to receive free pizza and beer for lunch. 8/ We do not insist to be tipped even if you are not pleased of our service.